It came without ribbons! It came without tags! It came without presents, boxes, or bags! It came without…..a decorated cup? 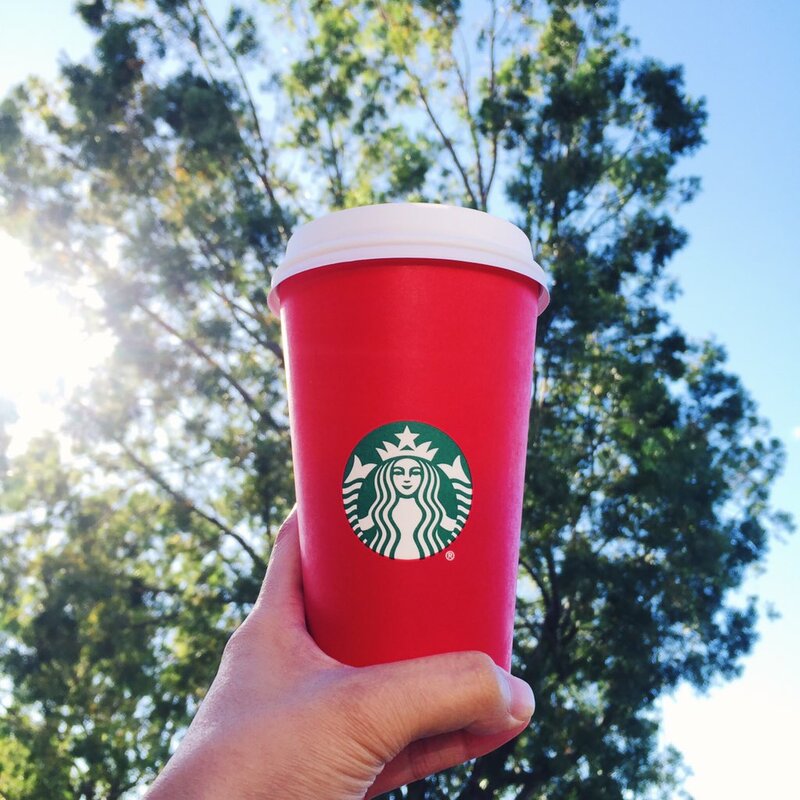 Since first appearing in 1997, the reveal of the Red Cup in Starbucks stores has meant that the holiday season is here. Previous designs on the cup have included snowmen, reindeer, ornaments, and other symbols of winter, each one telling a story. But this year, Starbucks decided to let customers write their own story, introducing a simple two-toned red cup. I’m sorry, did I miss something? The long-haired, chill-looking person that’s usually on the cups isn’t Jesus, it’s a mermaid. And customers have NEVER been able to sip from a cup showcasing a nativity scene. Customers can still purchase the Christmas Coffee and purchase gift cards with “Merry Christmas!” written on them. Newsflash- Starbucks has never claimed to be a Christian company. In fact, quite the opposite. They have stores in 68 countries, serving millions of customers a day. These customers, they celebrate Christmas, Hanukkah, Kwanzaa, other holidays, or nothing at all in December. They were just trying to be as inclusive as possible in this season of many holidays. Truthfully, Starbucks is doing what God calls us all to do: love your neighbor as yourself. Dr. Seuss was on to something- maybe Christmas doesn’t come from a store (or coffee shop.) Maybe Christmas, perhaps, means a bit more. Nobody’s choice in decoration is the reason for the season. The Great Commission is kind of a DIY operation. So if you really want to see the Christmas spirit at work in Starbucks, buy the person in line behind you a drink. Sit down with them, crack open your Bible, and share the good news of Jesus Christ.